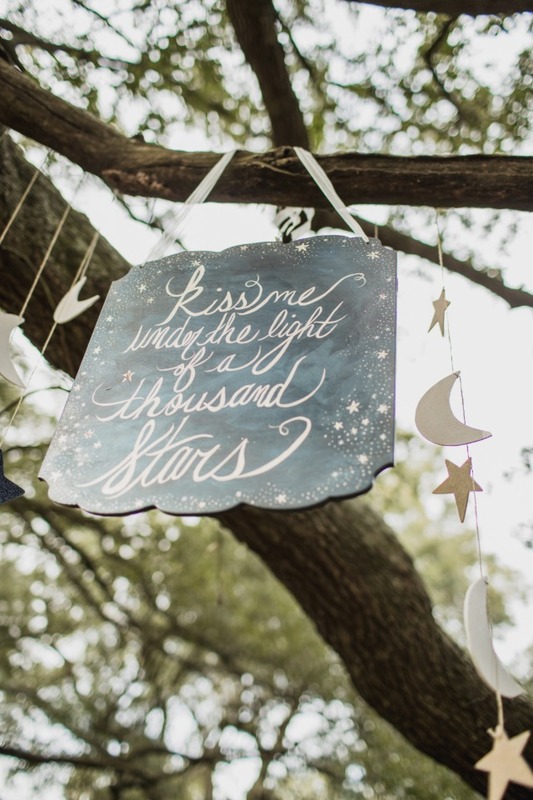 What happens when two star gazers fall in love? 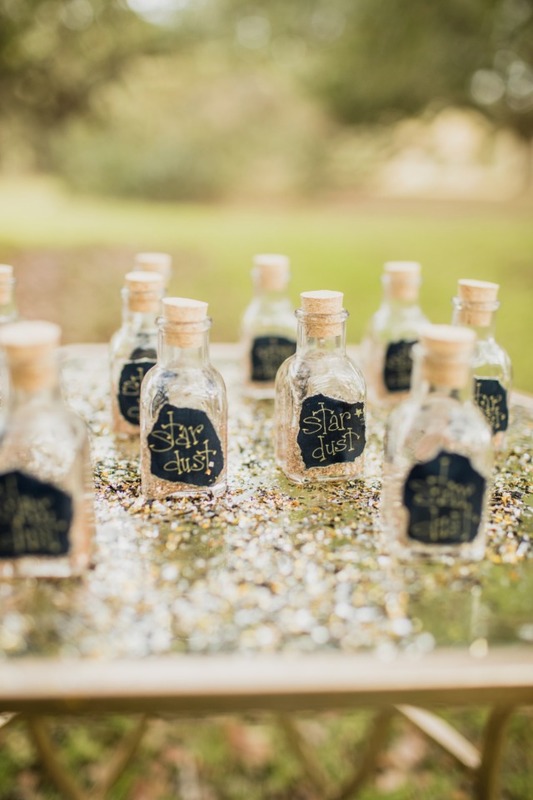 They have a truly star studded wedding that's what! 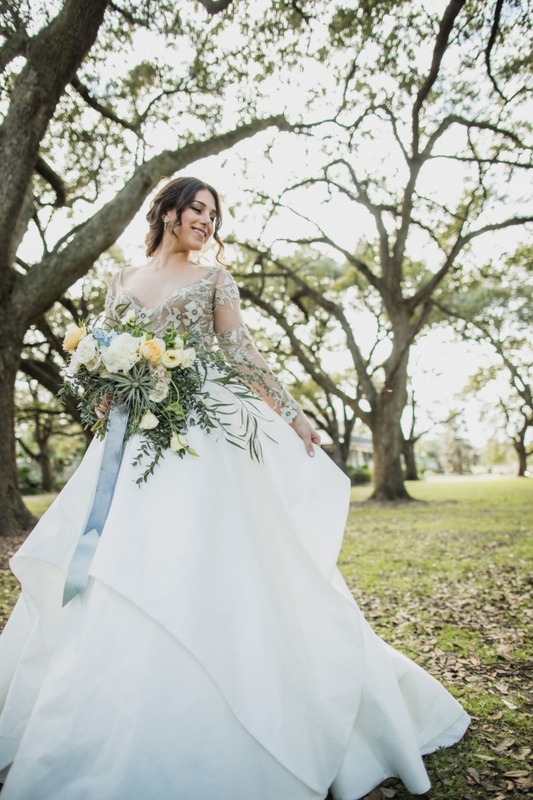 With the twinkling heavens as the inspiration for this beautiful wedding shoot, dreamed up by Bride Film and fabulously coordinated by InNOLA Events & Design you can't help but lay back and stare at it all night long. 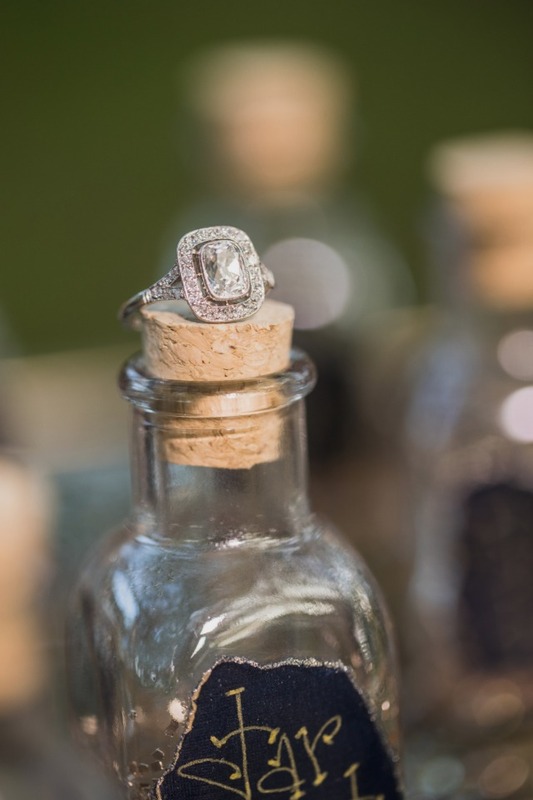 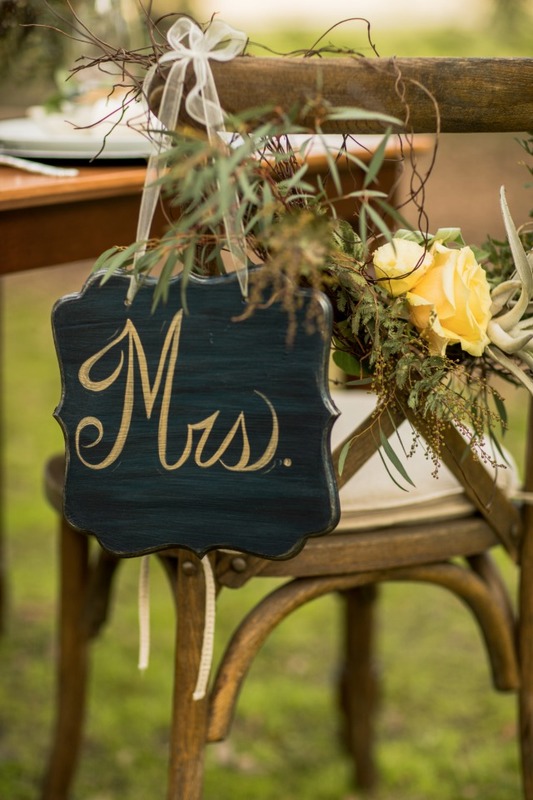 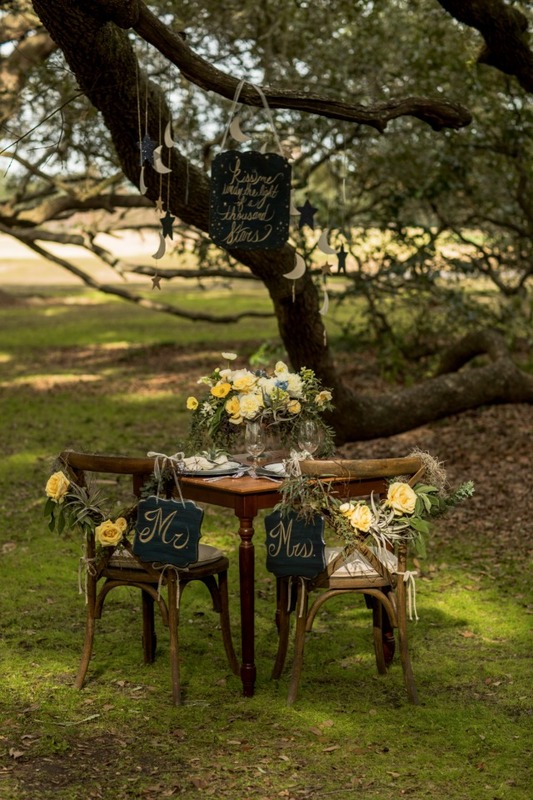 As wedding themes go, this is definitely a new one and one we cannot wait to see more of. 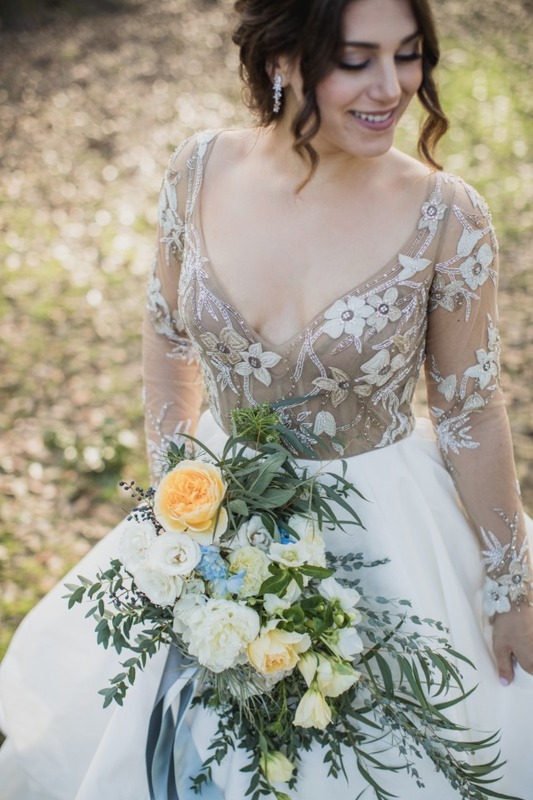 Paired with stunning florals from Mitch's Flowers and that breath taking gown by Hayley Paige we don't imagine we are going to need to twist anyone's arm to want to see more of this shoot. 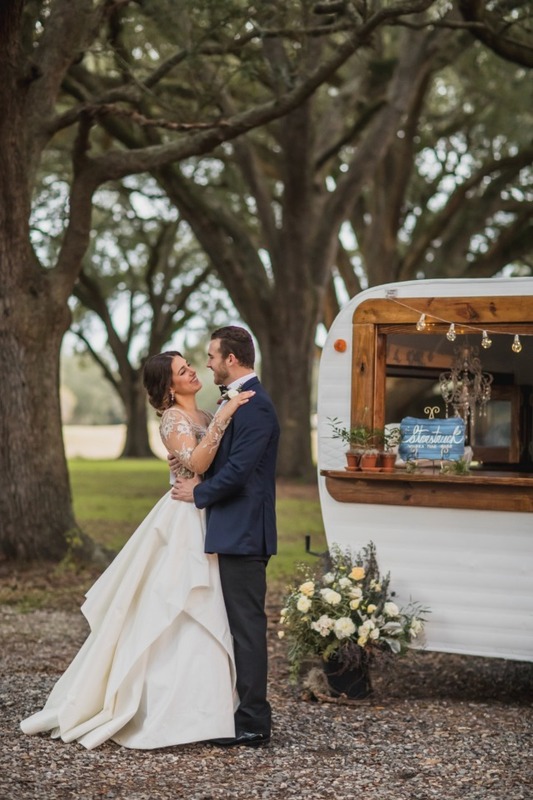 Just click here to see every last image in our full gallery! 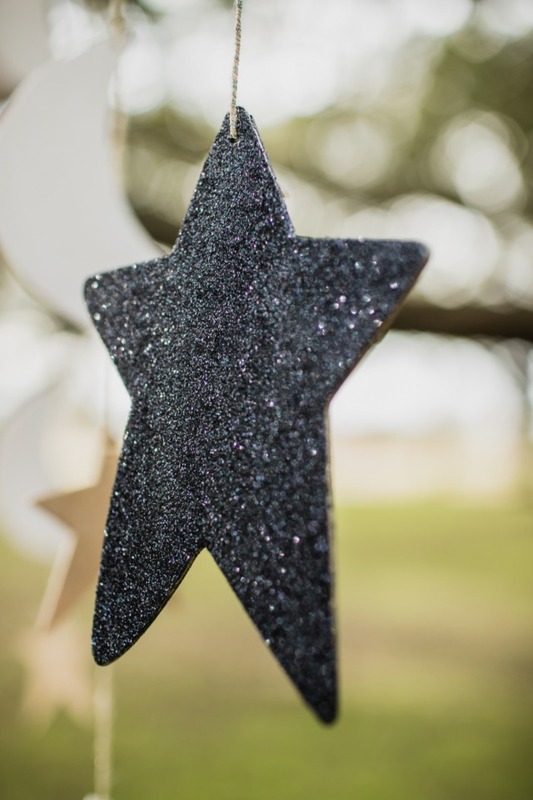 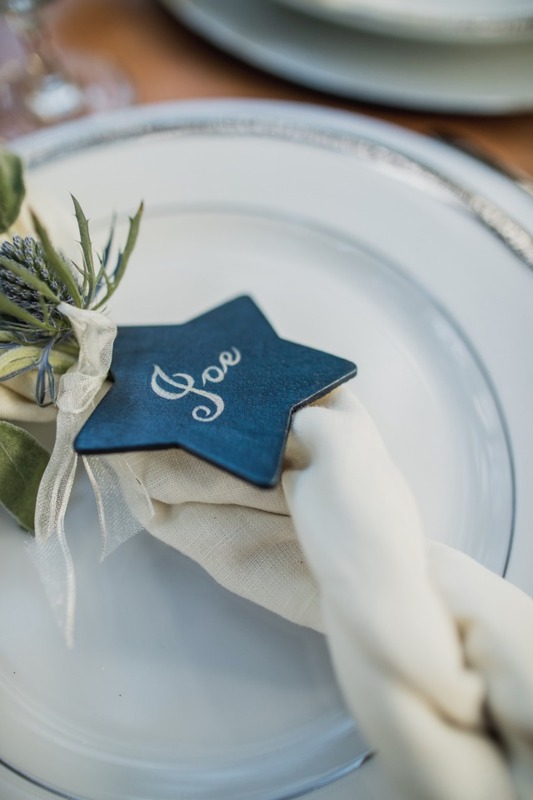 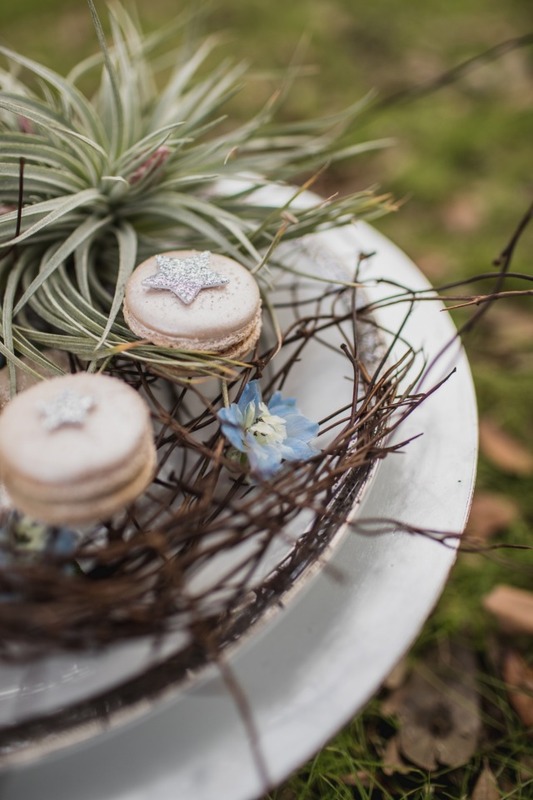 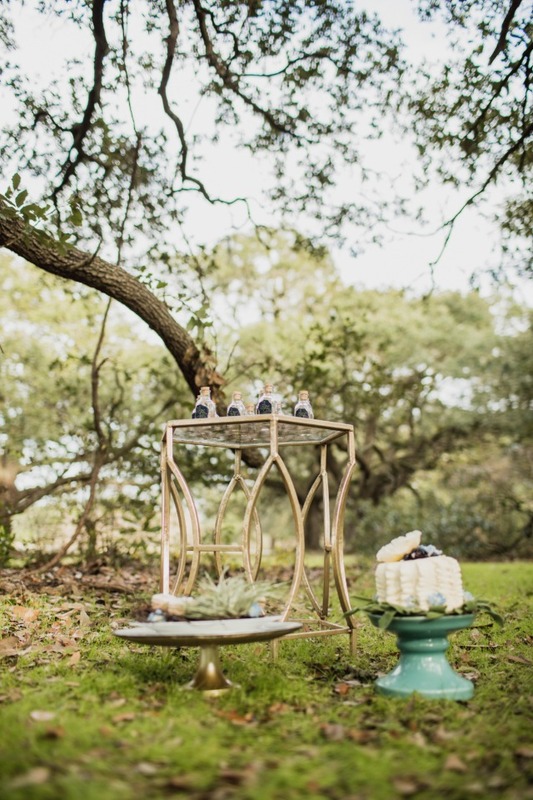 From Bride Film: Our dreamy shoot was inspired by the magic of the stars, southern elegance, New Orleans romance, and the philosophy that love is cosmic. 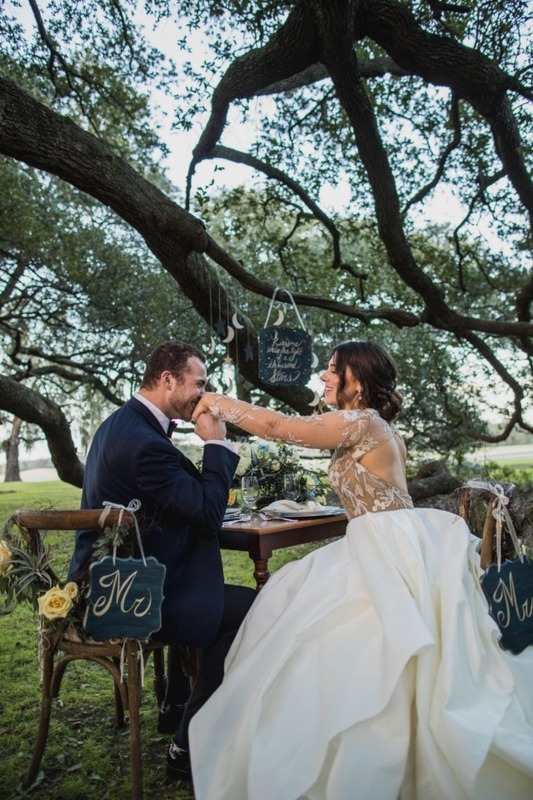 As seen through the chemistry between our bride, Brigette, and our groom, Roane, destined love is written in the stars. 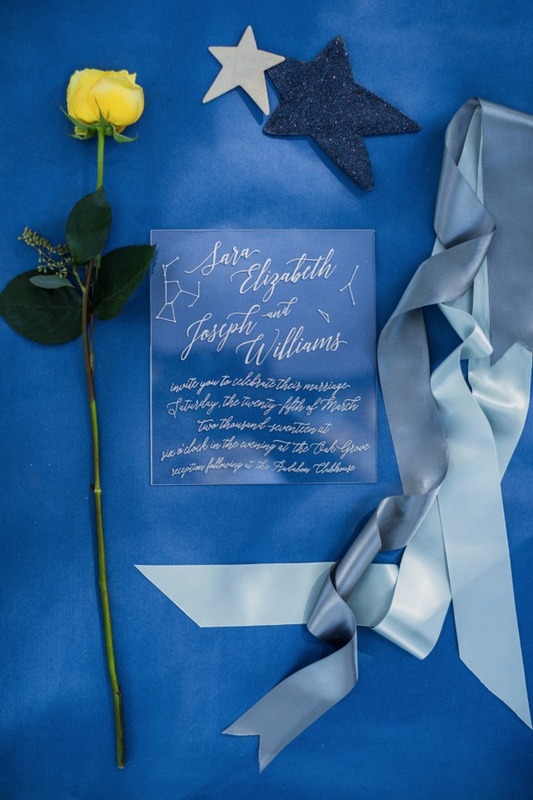 Our wedding invitation includes constellations and a dreamy, flowing calligraphy to introduce guests to our cosmic theme. 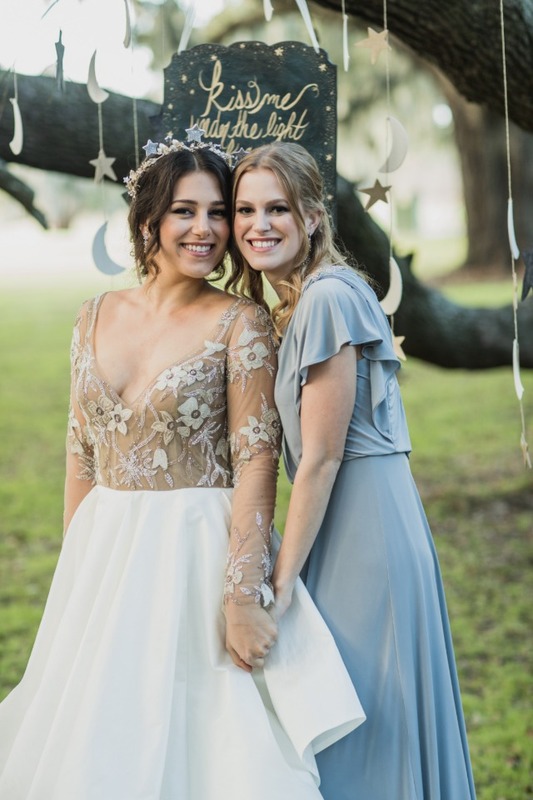 Brigette's Hayley Paige wedding gown set the perfect tone for our romantic, star infused theme. 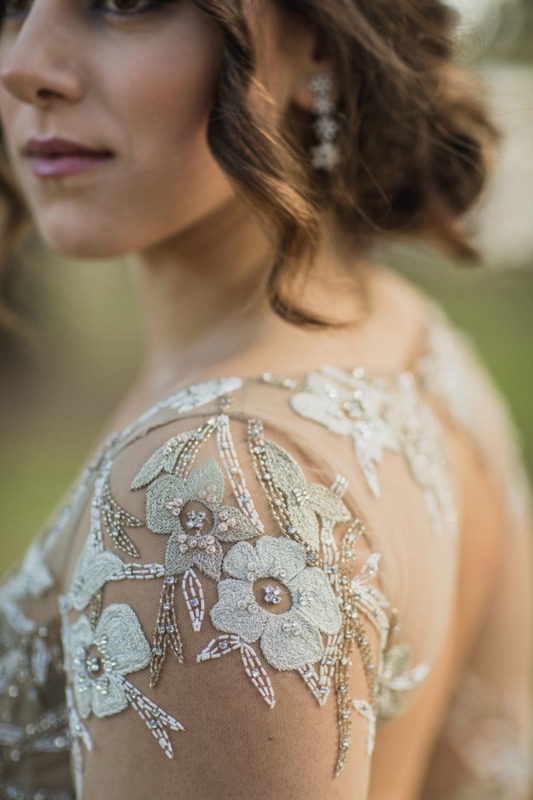 We loved the embellished, sheer, floral overlay combined with cool, silver undertones. 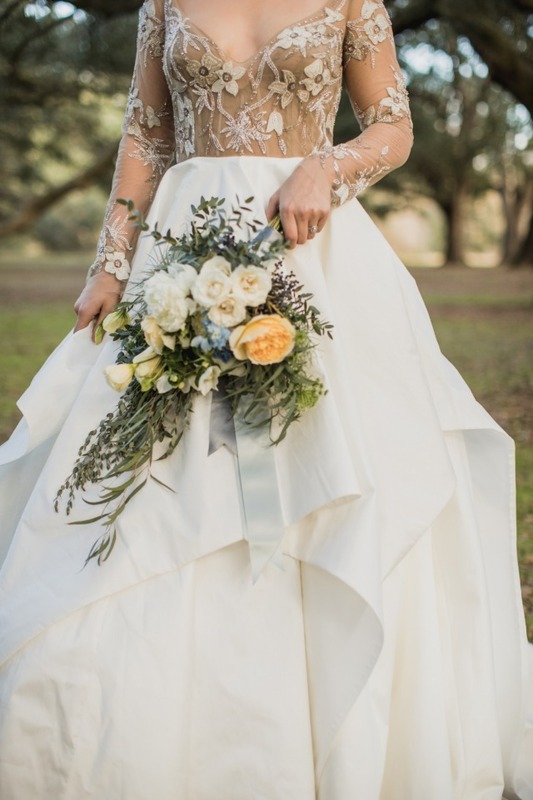 The long sleeve top and full layered white ball gown bottom created the perfect dramatic contrast and silhouette. 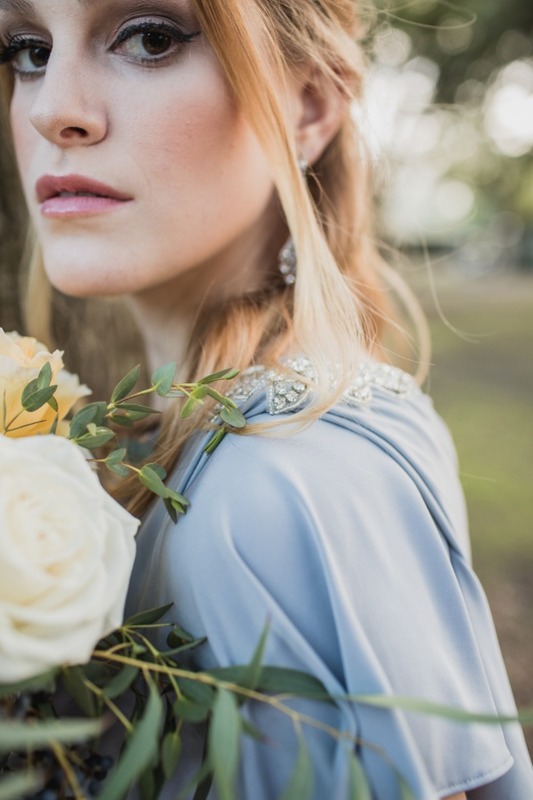 Her hair and makeup was very soft, yet ethereal, with silver and blue touches of shadow. 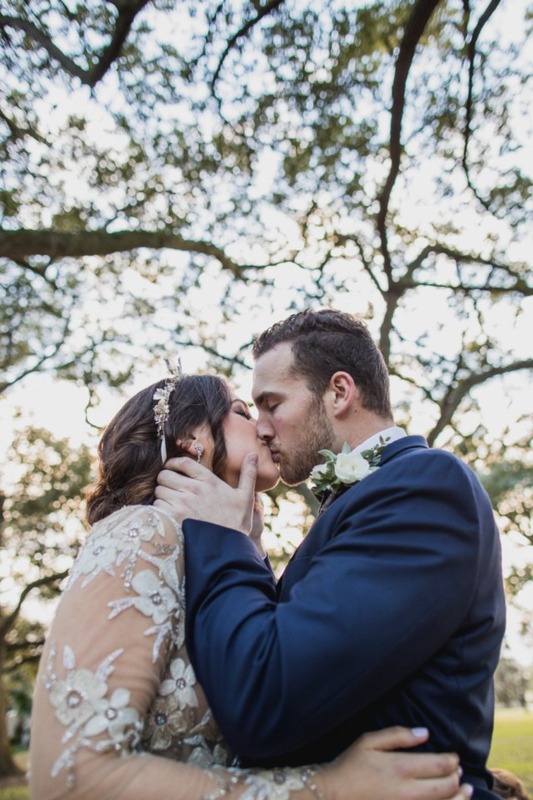 We added stars to her playful, crystal headpiece. 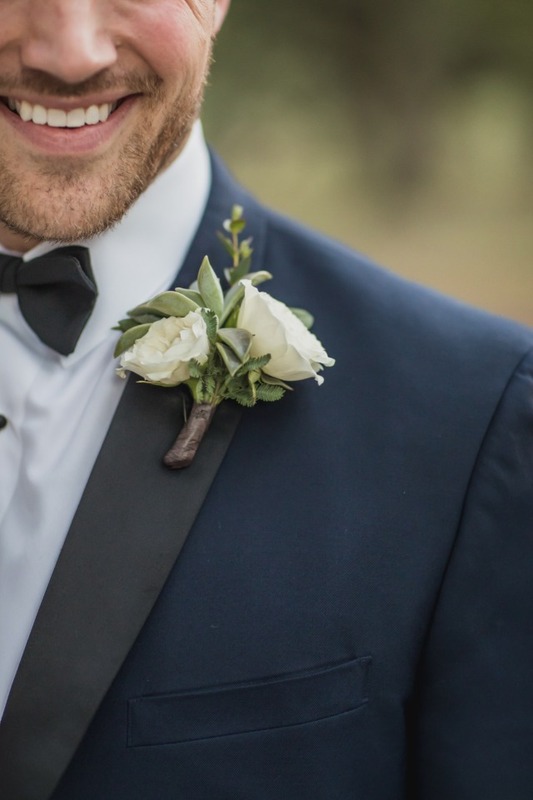 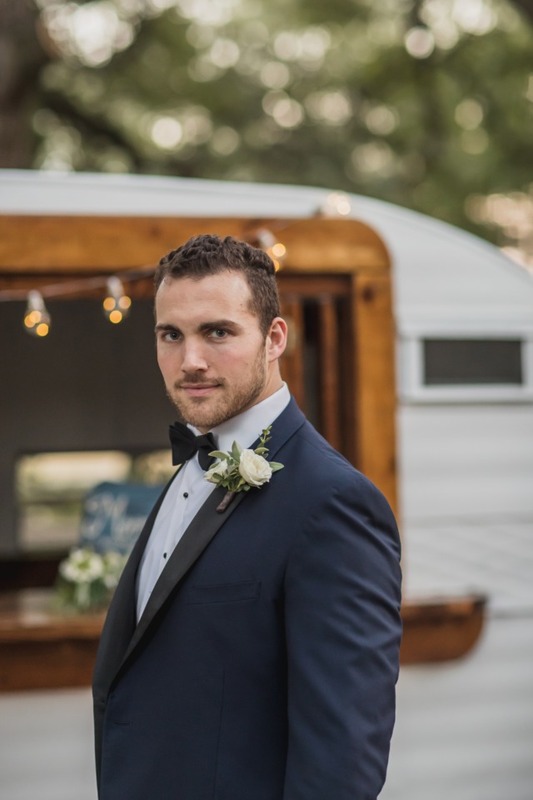 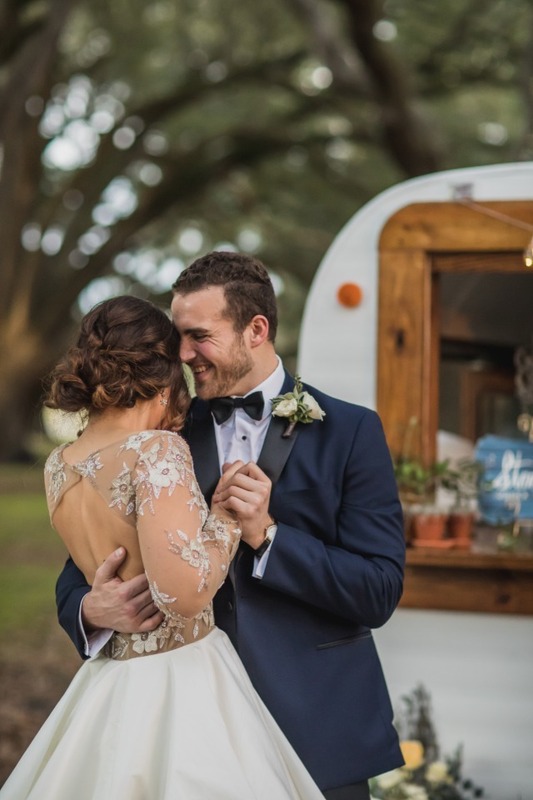 The maid of honor's dress added a soft feminine touch of blue, while our groom wore a dark navy tuxedo to mimic the night sky. 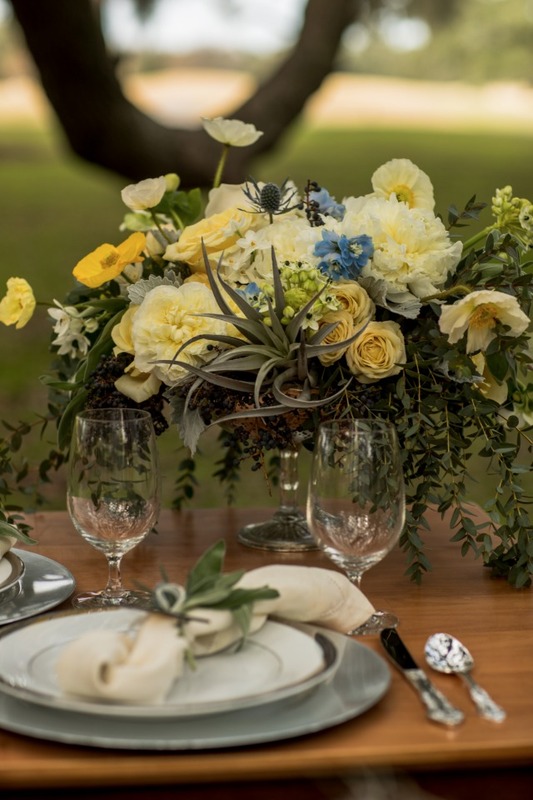 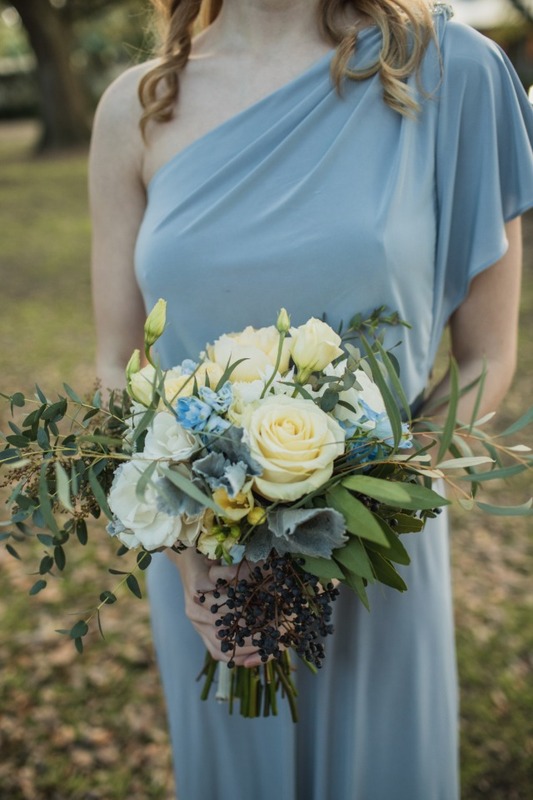 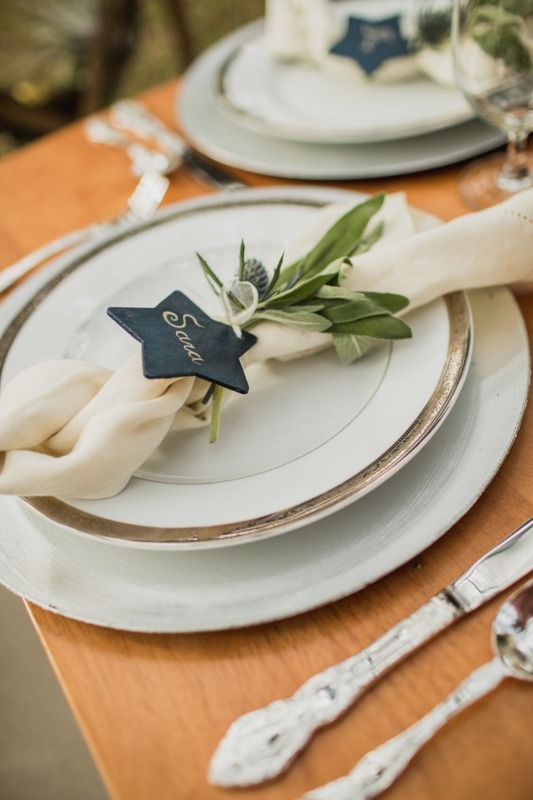 Our flower color palette of light blue, yellow, and cream mimicked the day sky, while the navy decor touches transitioned us into the starry night. 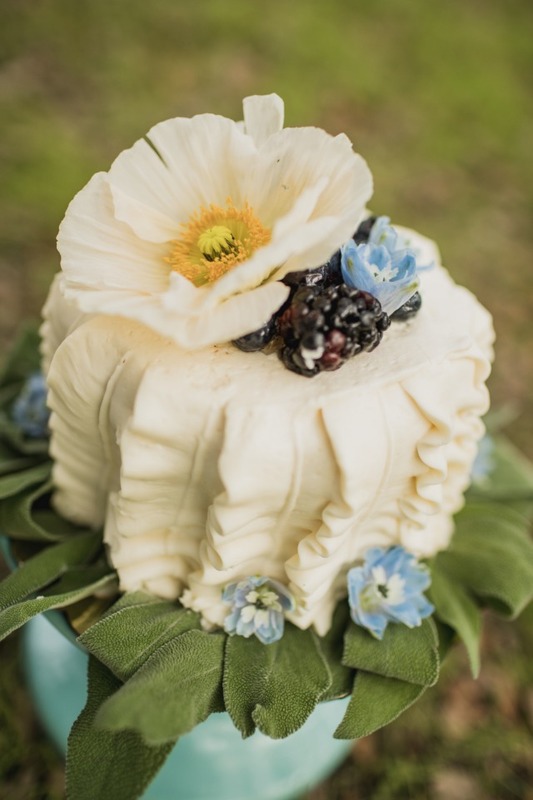 Our florals including light blue delphinium, pale yellow takini roses, narcissus (paper whites), tillandsias, white peonies, patience garden roses, creamy lisianthus, and privet berries complemented the floral embellished pattern of our bride's gown. 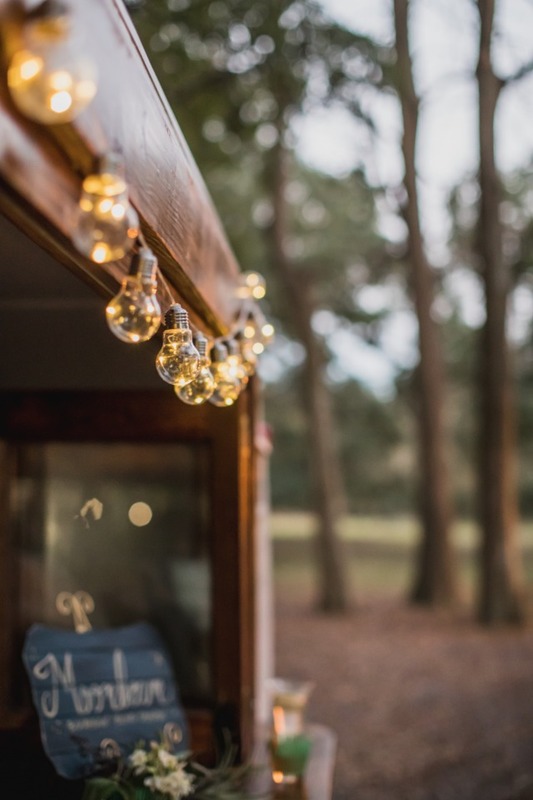 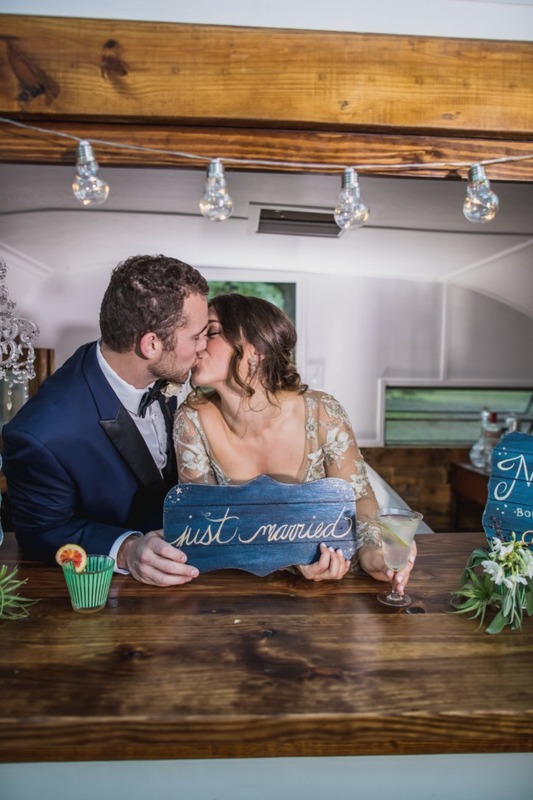 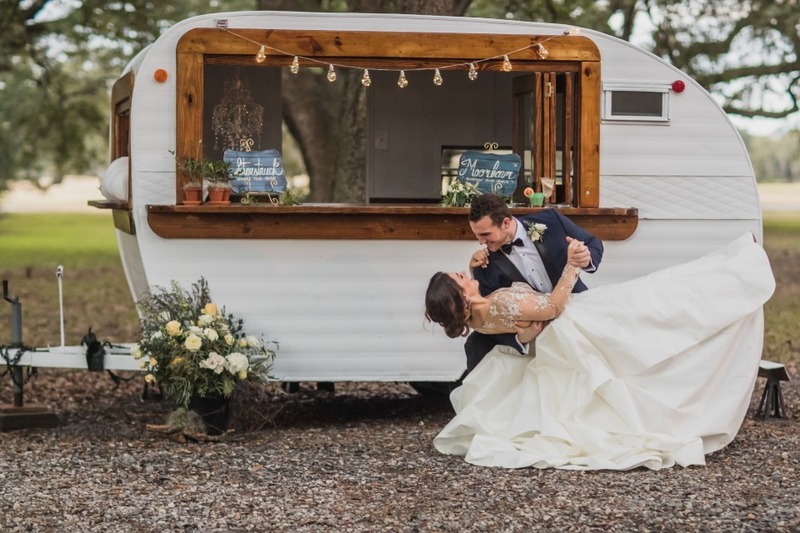 After sharing a sweet moment at the romantic sweetheart table, the wedding party toasted to cosmic love with bride and groom's signature cocktails at our little white trailer. 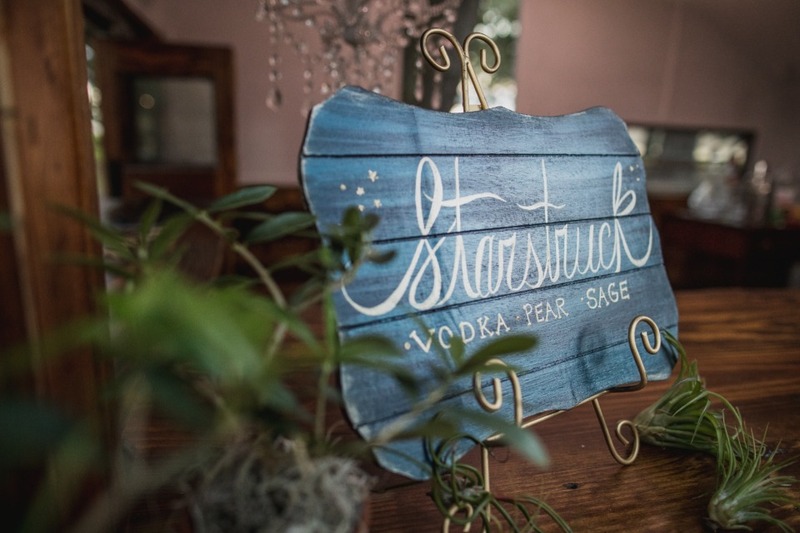 We named our cocktails Starstruck and Moonbeam, and the bridal party enjoyed sipping them throughout the playful shoot under the tree canopy of Audubon Park.